New rental program offers attractive weekday rates for business meetings. You can access business rates and the facilities description here. The park's expansive 227 acres offers a series of wooded trails and a dog friendly environment in the orchard. The Great Lawn presents a dramatic backdrop to wedding receptions and festivals all year long. The park also features a challenging 18-hole Disc Golf Course that winds in and out of the woods. Built in 1930 by industrialist/inventor Edward Beach Gallaher, this lovely limestone Tudor Revival mansion is styled with carvings, stained-glass windows and walnut paneled rooms. It includes a large flagstone terrace and adjacent gardens that make it perfect venue for outdoor entertaining. It's available to rent for meetings, events, luncheons and weddings. Please contact Recreation and Parks for details (203) 854-7289. The curtain raises in the Spring and intimate, entertaining performances continue into the Fall. 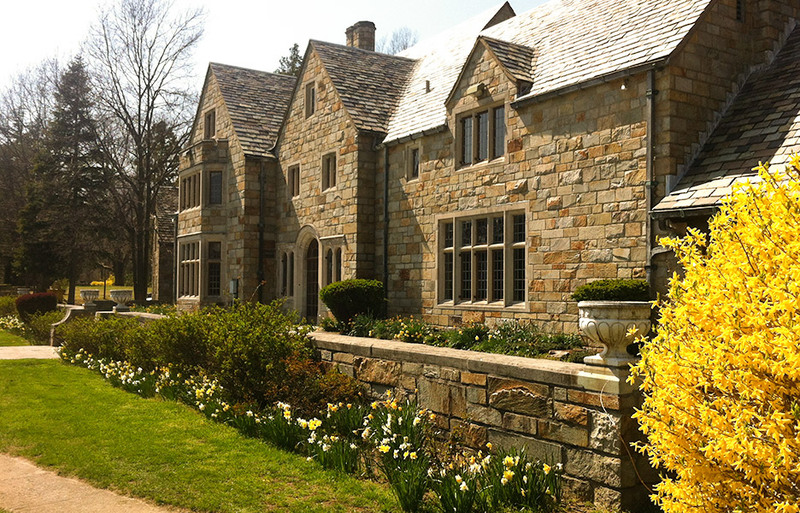 The Carriage House Arts Center is located adjacent to the mansion. From Merritt Parkway take exit 39B for Route 7 North. Turn right at the end of the short expressway and then left. Set the odometer at 0. At 0.2 turn right onto West Rock Road. At 0.4 of a mile, turn left onto Bayne Street, at 1.2 miles turn left onto Grumman Avenue, and at 1.6 turn right into the park entrance.